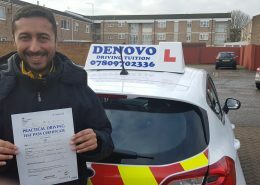 Before to start your first lesson with Denovo Driving Tuition please review the information contained in the following websites. If you have any questions please discuss them with your driving instructor. 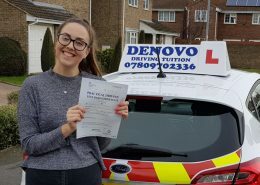 Many congratulations Renata for completing your driving lessons and passing your driving test first time in Peterborough. Well done. 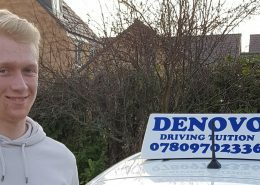 Congratulations to Ben Rippon for successfully completing your driving lessons in Peterborough and passing your driving test first time.You were very sensible and took your test when you were ready. You were very determined to develop your driving skills to the required standard before taking your test. Well done Ben. Enjoy your driving. Well done Lizzie for passing your driving test in Peterborough. Many congratulations. Best wishes and be safe. Congratulations Megan. 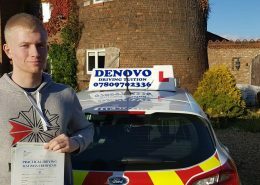 Well done for passing your driving test first time with De-Novo Driving Tuition in Peterborough. Many thanks for your very positive comments in your customer review. Well done you. Be safe! 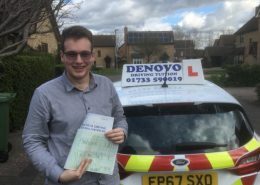 Congratulations for passing your driving test first time in Peterborough Tom. Well done. Enjoy your driving and be safe.